There are a great many benefits of meditation. It’s a great activity to share with your children, too, as there isn’t any sort of age limit. 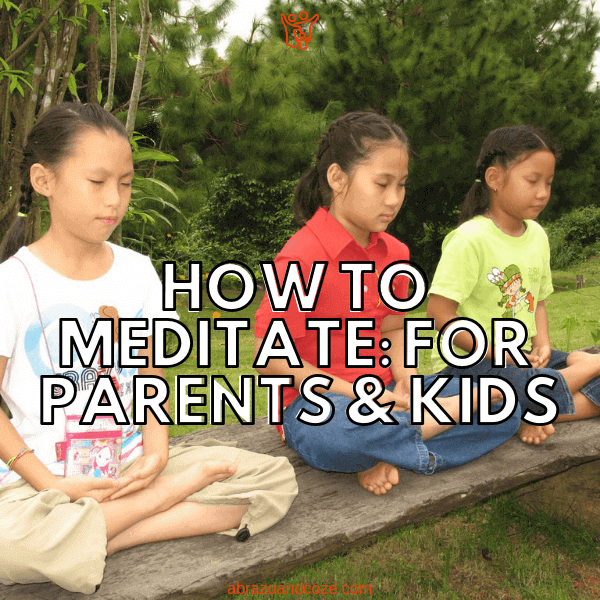 If you’re just not sure how to meditate or are looking specifically for meditation for kids, you should have a good idea of how to proceed once you’ve finished reading. There are several meditation techniques for beginners, but before we look at each of them, we’ll go over some of the benefits of meditation and how meditation for kids will be a huge benefit to both you and them. There are some fantastically amazing benefits of meditation. Even when you’re new at it and learning how to meditate you can still see a positive impact. When you’re talking about meditation for kids the long term beneficial gains are huge. I’m not going to get into the science of it all, for that, check out this link to the benefits of meditation. As a brief summary (get ready to be surprised), meditation can lower blood pressure, reduce heart disease and strokes, and can increase social connections. Meditation can improve your memory and recall, increase your focus, and reduce Alzheimer symptoms. It can increase positive emotions and empathy, reduce stress, and enhance your creativity. Meditation can boost your immunity and has a positive effect on your mental health. It can even reduce premenstrual syndrome symptoms, menstrual cramps, symptoms of menopause, and can alleviate chronic pain. Almost miraculously, meditation has also been shown to reduce age and racial bias and affects cells in a way that is correlated with longer life. With such an extensive and long list of benefits, it isn’t surprising that meditation for kids is a popular family activity. 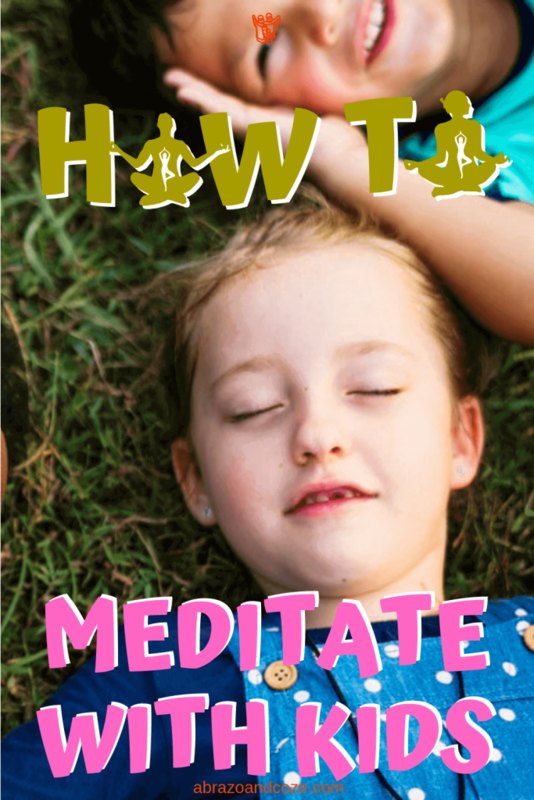 Children can have fun learning how to meditate, as well. By the time they’re grown, meditation will have become a lifelong daily habit, and they will reap the rewards. What could be a better gift to your children than healthier, happier, longer life? As I mentioned previously, there are several meditation techniques that are great to do with the whole family, regardless of age. Granny and Gramps visiting? No problem. Invite them to join in the activity. When you’re learning how to meditate, binaural beats is by far the easiest option. It can be done even with the youngest family members – yes, even your newborn infant can even participate. It is incredibly easy to add to your usual evening routines. That said, if you would rather not set your children up for a sleep association with the practice of meditation – this is likely only a concern at the earliest ages – it is easy enough to add it to your morning routine. Although it isn’t as ideal, you can even do binaural beats meditation while the family gets ready for the day while eating breakfast, as it only takes fifteen minutes a day. So after reading how easy it is, you’re probably wondering how to meditate with binaural beats… and you’re likely wondering what the heck are binaural beats, right? Binaural beats meditation is a stereo audio track that takes advantage of the frequency of brain waves. Ideally, each of your family members would listen in stereo (that means you’ll each need a pair of headphones). However, it can work without headphones – the preferable method if you’re doing it together as a family. You can read an extensive explanation of binaural beats at this link. Human brains are, of course, incredibly complex. There are a variety of brainwave frequencies. Alpha waves have a frequency of 8-14Hz and when they are predominant, we are relaxed but alert. Theta waves cause drowsiness and are predominant in our brains during the first stage of sleep. They have a frequency of 4-8Hz. At a frequency of 0.5-4Hz, Delta waves are the brain wave present most during deep sleep. Binaural beats meditation provides an oscillating sound at one of those brainwave frequencies, usually either Alpha or Theta waves. For the best results, when you’re learning how to meditate with binaural beats, you want an audio track closer to 4Hz. There are numerous free apps for different types of phones, and innumerable YouTube videos to choose from. Largely, the one you like best will be a personal preference. Some tracks are solely the binaural beats sound. Others are masked or created with music. As long as the app or video calls it binaural beats, and indicates the frequency is 4-8Hz, it’ll be your personal preference which you love and which you don’t. This isn’t pop music you’re going to ever hear on the radio, so don’t get excited that you think you’ll be having a jam session in your ears each day. It’s fairly quiet sounding for the most part, based on the many I’ve listened to. That said, some are more pleasant to my ears, and I’m sure you’ll find the same true for yourself as well. Here is a video that I’ve used on occasion, that is well suited to learning how to meditate to binaural beats. It is much longer than you need, which makes it ideal for background music during quiet family time. In fact, my kids and I are listening to it now, as I type, and they play. If you want just 15 minutes, you can try another of my go-to options in this post on meditation techniques for beginners, or in the previously mentioned benefits of meditation post (that one has the sound of a didgeridoo). As you might imagine, mantra meditation is a meditation in which you repeat a mantra. Mantra comes from Sanskit and can be broken down into Man which means mind, and tra which means transport. Essentially, mantra means “transport into the mind”. As a transport into the mind, or in other words, a way to reach a deep state of relaxation and meditation, a mantra is like a seed. You plant it, and by nurturing it each day, you help it to grow and become more. Kirtan Kriya is a kundalini mantra meditation for mental balance. It is also known as Saa Taa Naa Maa meditation. This particular type of mantra meditation is directly linked to better brain functioning, as outlined in this Psychology Today article. Since this is a tutorial on how to meditate including meditation for kids, I highly recommend following along with a video or vocal track. There are two videos below that are easy to follow along and includes all the components of the meditation. One to use once you know the meditation, and one to learn with. I have also included an alternate video in which children participate. 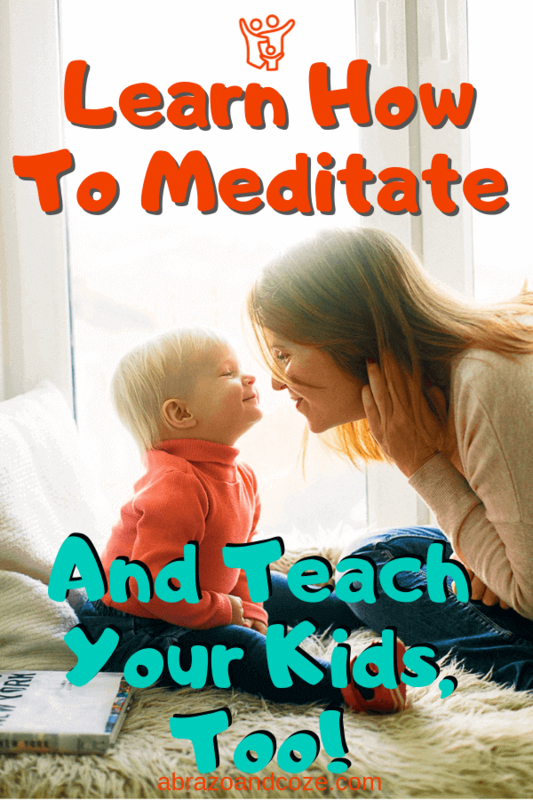 You and your children will learn how to meditate quickly by doing this mantra meditation. I bow and have respect for the teacher and wisdom within myself. The Adi Mantra is used to tune out our to-do lists, our supper plans, and whatever else we are thinking about. It is used to tune in, and open ourselves to the benefits of meditation. Using one breath for each word in the chant, repeat this mantra three times to prepare your mind for the Kirtan Kriya meditation. As you do so, you should sit cross-legged, with hands in front of your chest, palms pressed together (prayer hands), forearms parallel to the ground. Here is a quick demonstration of the Adi Mantra. The chant for Kirtan Kriya is accompanied by a simple melody, which is one of the big reasons I recommend following along rather than doing it yourself right from the start. Once you know the tune, the movements, the sounds, and the timings, you can venture off and do it yourself. The words for the Kirtan Kriya meditation are Saa Taa Naa Maa – now you understand why that is the alternate name of this type of meditation. As I mentioned, you sit cross-legged for this meditation. If that isn’t possible, sit whatever way you’re able, with your spine upright but not tense, shoulders back (shrug your shoulders to get them into the proper position). Your hands should rest comfortably on your knees, fingers straight, palms facing upward. On “Saa” you touch your index finger to your thumb. During “Taa” you touch your middle finger to your thumb. When you say “Naa” you touch your ring finger to your thumb. On “Maa” you touch your pinkie finger to your thumb. Do the movement simultaneously on both hands. Touch fingers to thumb with a heavy, noticeable pressure. It should not be a light feather-like touch. When you begin, you say Saa Taa Naa Maa for two minutes. Then you whisper Saa Taa Naa Maa for two minutes. Following that, you say it in your head for four minutes. After the four minutes of silence, you whisper Saa Taa Naa Maa for two minutes again. Finally, you say Saa Taa Naa Maa the final two minutes. As with anything, there are slight variations. You can find longer Kirtan Kriya meditations, but twelve minutes a day is enough to reap the benefits and fits better within a busy schedule. Additionally, the stretches at the end vary, depending on the practitioner and the teacher, and often includes a couple of deep breaths, stretching of the arms, and a minute of silence. Here is a video in which the finger movements and chant are clear. Once you are familiar and comfortable with the Kirtan Kriya and understand how to meditate, this is an ideal video for ongoing guidance and musical background. But of course, you can use whichever you prefer. Here is an instructional video that includes the Adi Mantra. The Yogi does a good job of explaining the steps of the meditation, too, so it will be a good introductory video meditation for kids and for yourself. Here is one last video that your children might enjoy, as it includes the Kirtan Kriya meditation led by a girl who was doing the meditation as part of her science fair project at school. When your children are first learning, especially if they are very young, one little trick to help them it to draw faces on their fingers. Each finger then hugs the thumb as they say their name (Pointer is named Sa, Middle is named Ta, etc). This can help them remember both to do the “finger dance” and to say the words of the mantra. This mantra meditation for kids is one they will have fun with because it is especially for children. It’s nice and easy to remember after doing it a handful of times, so when you’re in the car on your way somewhere, you can do it in the car with them. Or, if your children (or you!) are having a particularly hard day, they can do this meditation to help them focus their positive energy and make a better day. In this video the “teacher” is a young girl, joined by her mother. They use the same hand gesture throughout this meditation for kids. However, there are actually additional hand gestures. Normally I would describe each verse, but the child in this video does an excellent job of it. You’ll notice they do a quick version of the Adi Mantra to begin. That is a common practice prior to many meditations. There are several mantra meditations, and there is no way I could possibly include them all here. Instead, here are a selection of videos to guide you through two of the most popular options. Om mantra meditation is simply chanting “Om” while seated, ideally cross-legged with hands resting on knees and thumb pressed to index finger. You might wonder what “Om” actually means. Om is simply a sound. Although the sound is used in a variety of Eastern cultures as part of meditation, in the Hindu faith it is believed Om is a sound that has been audible since the beginning of time. It was the sound of Shiva first stepping onto the earth. As such it is considered the sacred truth of the world. In this meditation video you can simply listen, or, ideally, you will chant along with it. Fang (she’s 2) likes chanting along, and often asks to do it. That said, children don’t have the ability to focus for such a long period of time, and that is okay. Let them join you as long or as short of a time as they can handle. Affirmations are positive statements about yourself to help you overcome negative self-talk and self-sabotaging thoughts. By repeating self affirmations, a person can retrain their brain to replace negative talk with the positive alternatives. As with any meditation, self affirmations can reduce stress and help us make positive changes to our life. This positive affirmations video is a wonderful meditation for kids and adults alike (admittedly, however, it is aimed at children). Once you have an idea of how self affirmations work, you can create your own set of positive affirmations to repeat. You can speak them aloud, or in your head, or a bit of both as in the Kirtan Kriya meditation. They can be especially effective if you have a mirror so you can speak them to your reflection. In a brief summary, guided meditation is at its core, following the guidance of another person, written text, or recording. It might have music added (possibly even binaural beats), and it might include some breathing meditation as part of the guided meditation. When learning how to meditate it’s best to follow another person rather than attempting to learn how to meditate all the while trying to follow along with a written guided meditation. If there is a meditation teacher near you, feel free to inquire about their services. However, a much more cost effective option is to use a free app or pay a small fee for an MP3 file. It has a variety of meditations, all under fifteen minutes, and most are under ten, so they fit well into a busy lifestyle. They have a music track along with the speaker, which can make them pleasant to listen to. Mindfulness meditation for kids and adults alike are intended to keep you focused on the present moment. It sounds like an easy concept, but it can, in fact, be a challenge to keep stray thoughts from intruding and taking your focus away from the presen. Many mindfulness meditations are guided meditations, and they include reminders about acknowledging intrusive thoughts and then letting them go. When you’re learning how to meditate it can be challenging to stay focused, and so a guided meditation is especially good for beginners. You can use a mindfulness meditation for kids, or, if you want to do it separately from your children, there are many options intended for adults. Breathing meditations aren’t always a guided meditation, however, they often are. If you’d like to do a breathing meditation on your own, check out the directions at this link. This video is one that I use with my children. The next video is one that a lot of parents end up liking their children to follow. It is a guided meditation about gratitude. Of course, gratitude is important for everyone, not just kids. Not to worry, I’ve got a guided gratitude meditation for you, too. As part of an evening routine, it can be nice to include a guided sleep meditation. Here is a meditation for kids. Fang (2 years old) loves dinosaurs, so this particular guided meditation is one of her favourites. And here is a sleep meditation for you. Now that you know how to meditate, and you have a selection of meditations for kids and yourself, you just have to start. Add it to your schedule so you don’t forget. Play the binaural beats during meals. Follow a sleep meditation at bedtime. Practice a breathing exercise when you’re about to enter a stressful situation. Take twelve minutes to do a Kirtan Kriya meditation each day. Encourage your children to do an I Am Happy meditation during car rides. There are plenty of opportunities to add meditation to your life. Make it a habit and the benefits will be yours. 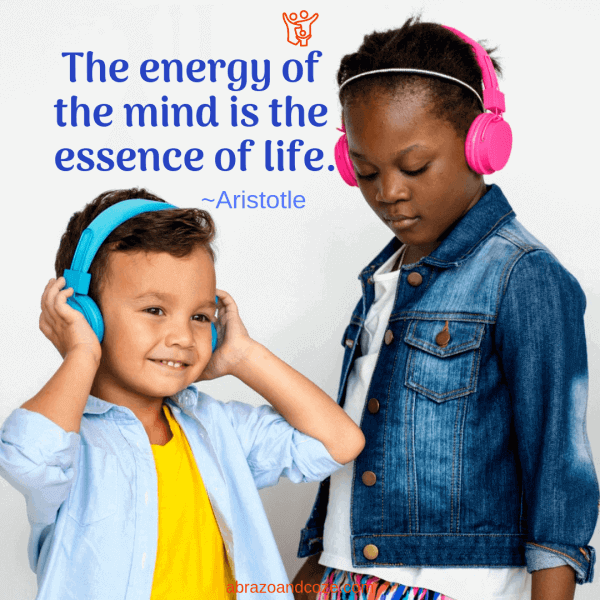 Which do you think will be your favourite meditation for kids? Which will be a favourite for yourself? What led you to learn how to meditate? I’d love to hear all about it in the comments below.